…factual reports and sound commentary on new developments in the world-wide scientific quest to determine the climatic and biological consequences of the ongoing rise in the air’s CO2 content. One of the Idsos’ main projects collects temperature reconstructions of the Medieval Warm Period (MWP) that claim to show local warming and then posts them on their website with the Idsos’ interpretation. 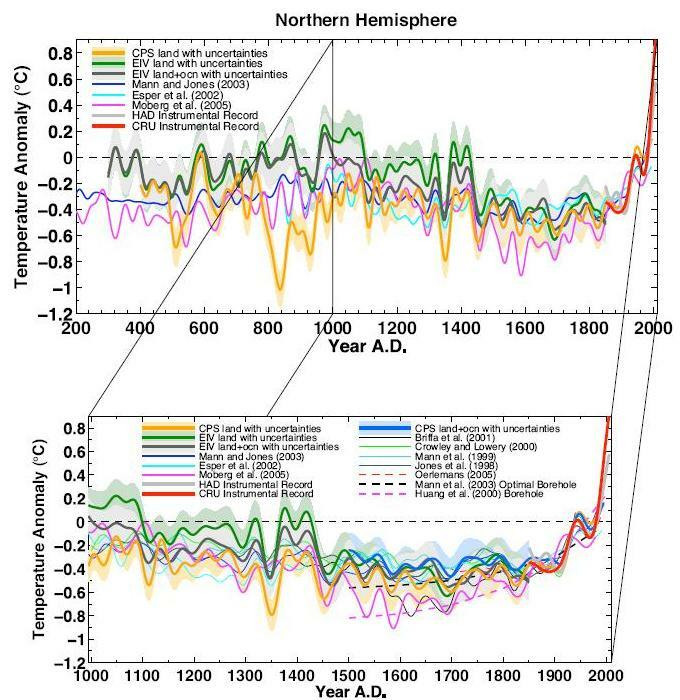 They conclude that current warming is not unprecedented since there were warm periods in the past in various geographic locations around the globe. The site is flooded with lots of references, but do the references say the same thing as the Idsos? 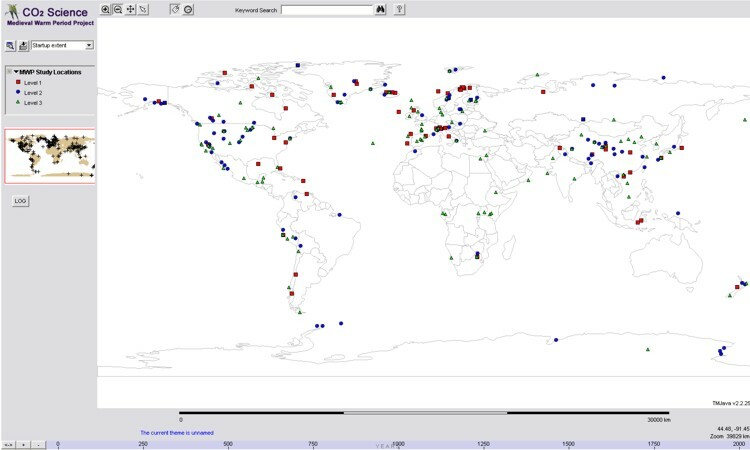 CO2 Science has a powerful interactive map and by clicking on the dots on the map you get to a page where a summary of that study is displayed – or rather the CO2 Science interpretation of the study. 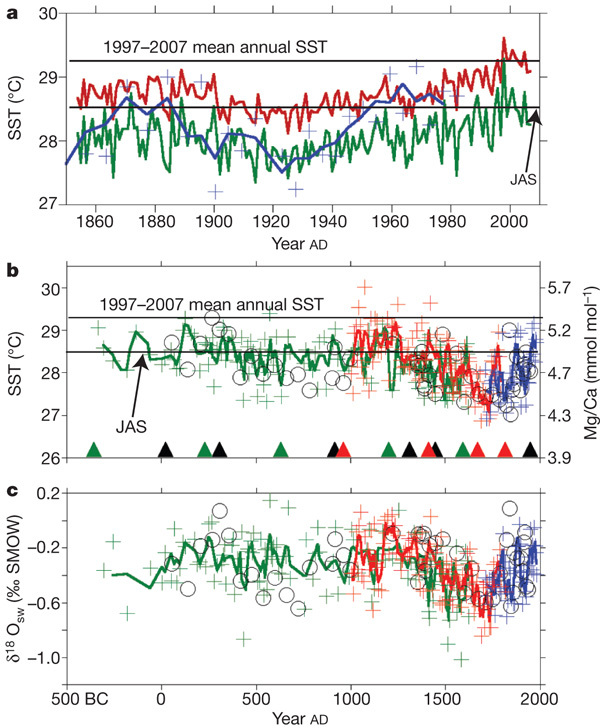 Reconstructed SSTs were, in their words, “warmest from AD 1000 to AD 1250 and during short periods of first millennium.” From the authors’ Figure 2b, adapted below, we calculate that the Medieval Warm Period was about 0.4°C warmer than the Current Warm Period. Figure 5: Graph from CO2 Science – derived from the Oppo, et al. 2009, which is said to show that MWP was 0.4 ° C higher than now. Both CO2 Science and its sister site Science Skeptical Blog use various methods or tricks to make the case for a global warm period during the medieval times. As can be seen with a critical look at the original papers and graphs, their conclusions don’t hold water. 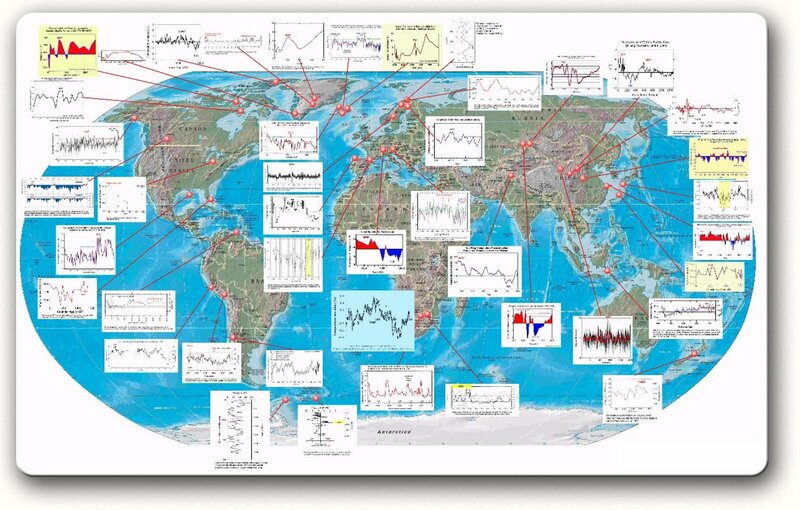 In those pages we have a large collection of articles about paleoclimate, and we can’t trust their conclusion or the graphs that we see because of many misrepresentations.